Colourful, vibrant and appetising, the Masala brand lives up to its Hindi meaning (a blend of spices) by bringing you a complete concoction of the rich and vivacious Indian lifestyle. 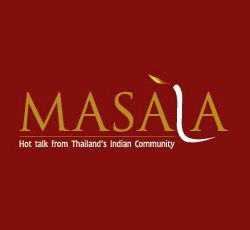 Masala prides itself on being the first and largest multi-media portal for the sprawling Indian community in Thailand, embracing both the traditional and digital with a glossy bi-monthly magazine, a comprehensive and interactive website and engaging web tv. 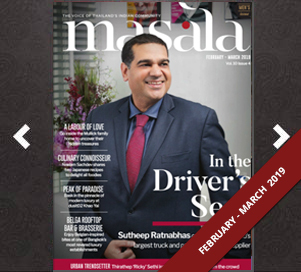 We at Masala strive to bring together the large and diversified Indian society by being the sole mouthpiece for all its members. So whether you dine on dosas or sip on lassi, you belong in the Masala family. In the mood to Netflix & chill?